Janie thought she knew what her future held. And she thought she'd made her peace with it. But she can't handle dragging Cabel down with her. She knows he will stay with her, despite what she sees in his dreams. He's amazing. And she's a train wreck. Janie sees only one way to give him the life he deserves--she has to disappear. And it's going to kill them both. I adore this series and can't wait to see what happens next! Janie is a great protaganist and Caleb plays off her very well. You should also read the short story that Lisa wrote from Caleb's POV. Which I think you can find here. Me too! Me too! I want it bad! :D Good pick! Just a heads up Laura, the link is broken. 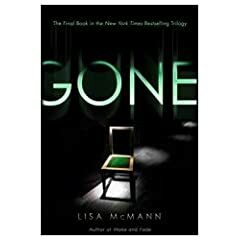 I love the series and the way Lisa writes it.